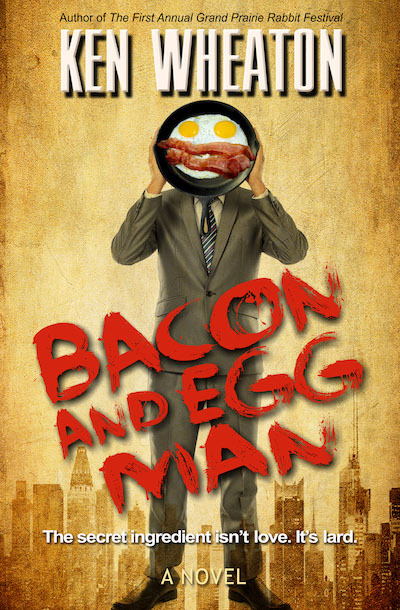 Bacon and Egg Man, Ken Wheaton’s second novel, is a sly send-up of a politically correct food establishment, where the Northeast has split off from the rest of the United States. The new Federation is ruled by the electoral descendants of King Mike, a man who made it his mission to form a country based on good, clean living. Their journey takes them from submarine lairs to sushi speakeasies, from Montauk to Manhattan, where they have to negotiate with media magnate the Gawker before a climactic rendezvous with the secretive man who supplies the Northeast with its high-cholesterol contraband, the most eternal of all breakfast foods: bacon and eggs.